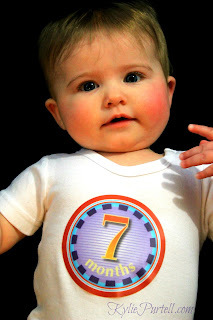 Seven Months! I just don't know where the time is going! 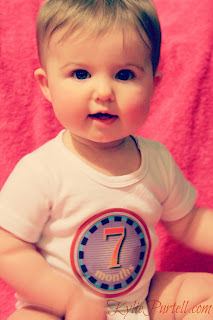 Punky is closer to being a one year old than a newborn. It's scary! I go back to work next week, something that I am both dreading, and in a weird way, looking forward to. I don't want to leave my baby girl, and I know I will miss spending all day every day with her. But at the same time, it will be nice to be doing something that is not about her and using my brain again. 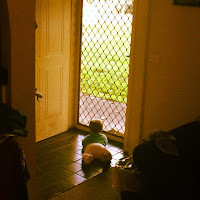 I'm only doing 3 half days so it won't be too long, and my mother-in-law and sister are going to share looking after her so I know she will be in good hands and won't have to spend all the money I earn on Childcare fees. 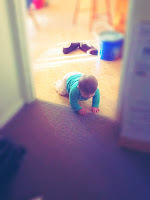 Punky is developing so fast now, shes getting around a lot, doing her 'worm' crawl. It doesn't look like much but man, can she move fast when she wants too. The last week has been all about discovering that there is a house outside of the loungeroom and finding things to get in to. Dave and I are doing some serious baby-proofing this weekend as this house sorely needs it! She's also sitting up on her own now, something which she wasnt so keen on at first, as it was harder for her to get to her toys, but now she loves the new perspective. breakfast and it's really nice to sit together at the table, her in her high chair, and eat our toast together. We then have some kind of fruit for lunch and some kind of mixed vegetables for dinner. Her favourites at the moment are definitely puréed apple, mashed banana, apricot pieces and mashed pumpkin and potato together at dinner time. Like any baby she tends to prefer the sweeter fruits so I've found that when it comes to veggies it helps to have more than one flavour, with one being a touch sweeter. I've also been teaching her to drink water from a sippy cup and she seems to be getting the hang of it. 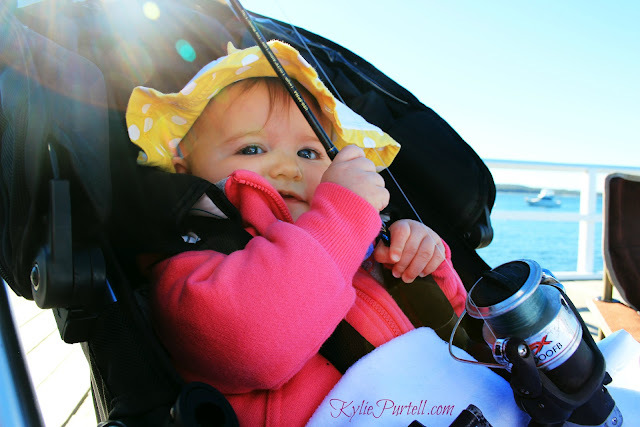 We went on our first family holiday together up to Port Stephens a couple of weeks ago too and that was really nice. 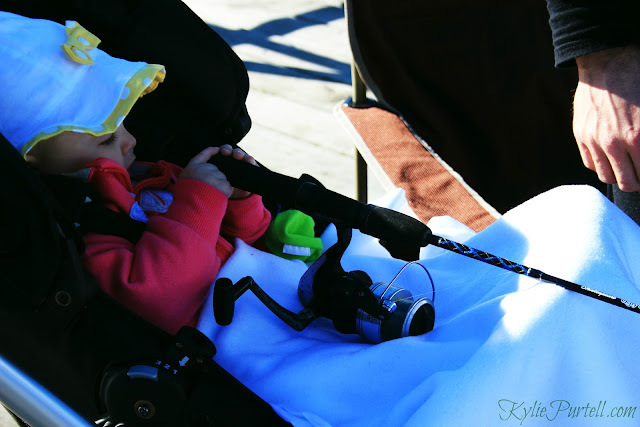 We all had colds so we didn't get up to much, but we did go on lots of walks and get a bit of fishing in too. It was nice just to be in a different environment and spend time together as a family of three, away from the chaos and busyness of everyday life at home. I'm really looking forward to seeing what the next few months of development bring for Punky Its so exciting watching her learn new things and discover the world around her. 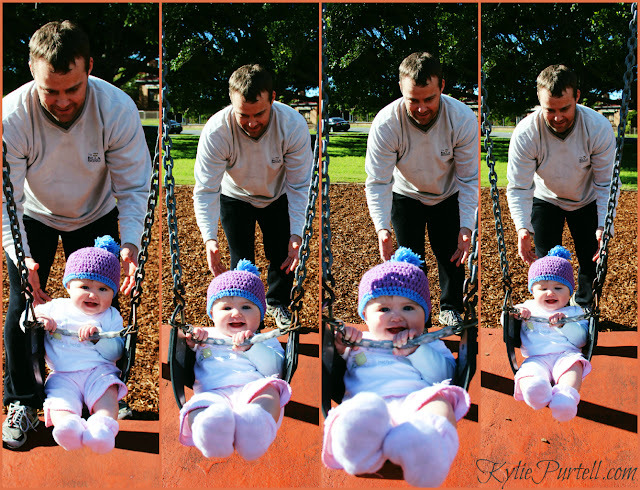 Punky's first time on the swing...she LOVED it and giggled the whole time! 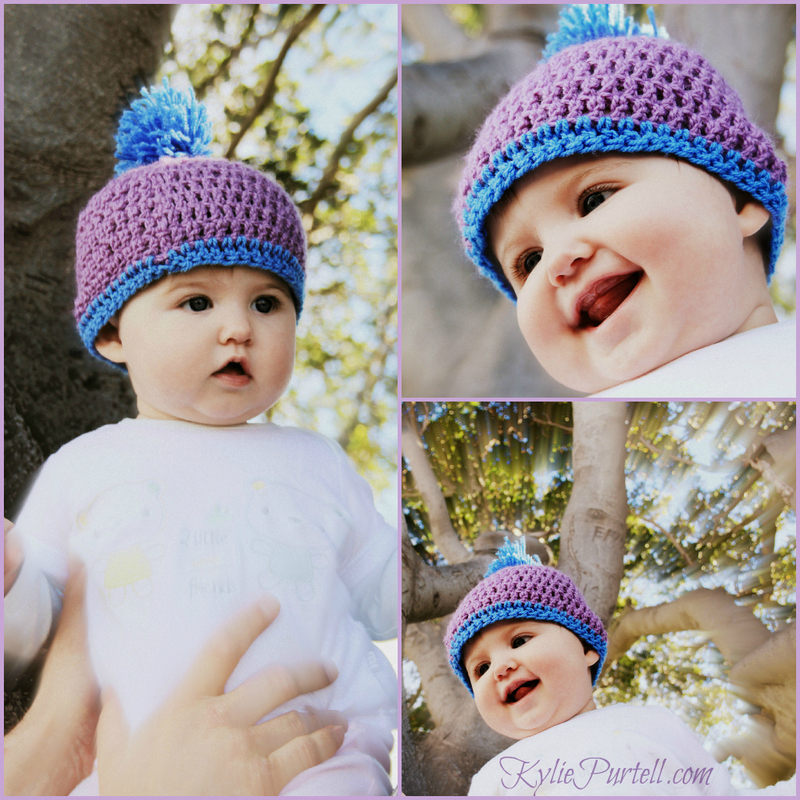 Look at the gorgeous face on that child! As for puress, one that Flynn loved was apple/banana/avocado. The colour wasnt so appealing but he really liked the taste, and anything with sweet potato was always a winner! 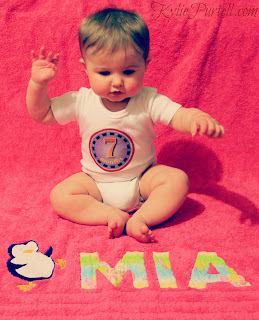 Just love the pics, especially the sequence of Mia on the swings! How 7 months has flown... She'll be in kindergarten before you know it. I Gots me an iPad!